Superdry women's minimal logo stripe Portland t-shirt. 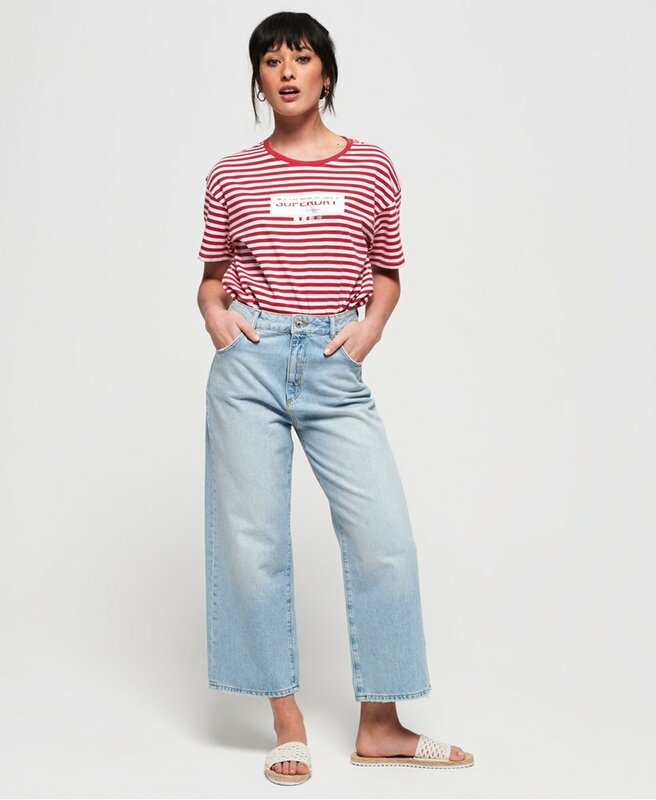 A stripe t-shirt is a classic in any woman's wardrobe, and this t-shirt is just the update you need. Featuring a crew neck, new oversized shape and minimalistic logo graphic on the chest, this t-shirt has been completed with a logo tab on the hem.